From the ground-breaking offices of Google, 'Search Inside Yourself' is a personal growth program that focuses on developing emotional intelligence through mindfulness, making its participants more productive at work and better leaders, while becoming more peaceful, happy and compassionate individuals. Famed for its innovative and unusual, yet highly successful working culture, Google is more than just a search engine. One such innovation is the' Search Inside Yourself' program, created for Google by a diverse group of individuals including a Zen Master, a CEO, a Stanford University scientist, and author Daniel Goleman, it's been a life changing program for many participants, contributing to great improvements in both their personal and professional lives. 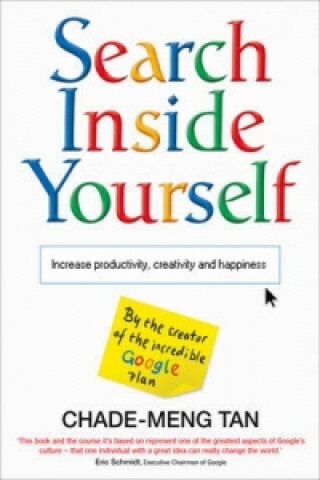 'Search Inside Yourself' has been taught in Google since 2007 producing dramatic results. Some participants have found new meaning and fulfilment in their jobs (one person changed her mind about leaving the company after taking the course!) Some have become much better at what they do; one engineering manager discovered the importance of giving himself quality time and reduced his working hours to four days a week. After he did that, he got promoted! Some have become more effective managers, learning to listen and communicate better and bringing a calm attitude to every situation. Not surprisingly, many people found 'Search Inside Yourself' to be beneficial in their personal lives as well. Many participants found they were happier and less-stressed, their marital relationships improved and some even said the program helped them deal with personal crises. This book will show you how to apply the principles of 'Search Inside Yourself' to you, your business and everyday life. Whether you are a junior team member or a senior manager, a secondary school teacher or a bus driver these valuable lessons have the potential to dramatically improve your life. Written by Chade-Meng Tan, the first engineer in Google's history to leave the Engineering department and join their Peoples Ops Group, where he leads this and other personal-growth programs. It also includes a foreword by Daniel Goleman, the author of Emotional Intelligence and introduction from Jon Kabat-Zinn, author of Wherever You Go, There You Are.